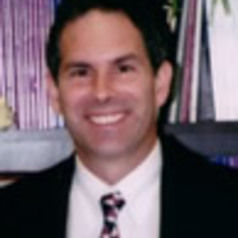 David J. Maume, Ph.D. came to the University of Cincinnati in 1986, and is currently the Director of the Kunz Center for the Study of Work & Family. At the Kunz Center, he and center affiliates conduct research on the changing workplace, family life, and their interdependence. Also a Professor of Sociology, Dr. Maume has published research on such topics as child care and women's labor force participation, work schedules and family life, and race, gender, and career development. Dr. Maume's research has been funded by the National Science Foundation, National Institute of Child Health and Human Development, Charles Phelps Taft Memorial Fund, and the Ohio Board of Regents, and he has published papers in numerous scholarly journals including the American Sociological Review, Social Forces, Journal of Marriage and Family, Work & Occupations, Social Problems, and the Journal of Family Issues. In addition, he has conducted numerous studies in the Cincinnati community on issues such as welfare reform and child support. Most recently, he served as Research Director for PULSE: A Study on the Status of Women and Girls in Greater Cincinnati.